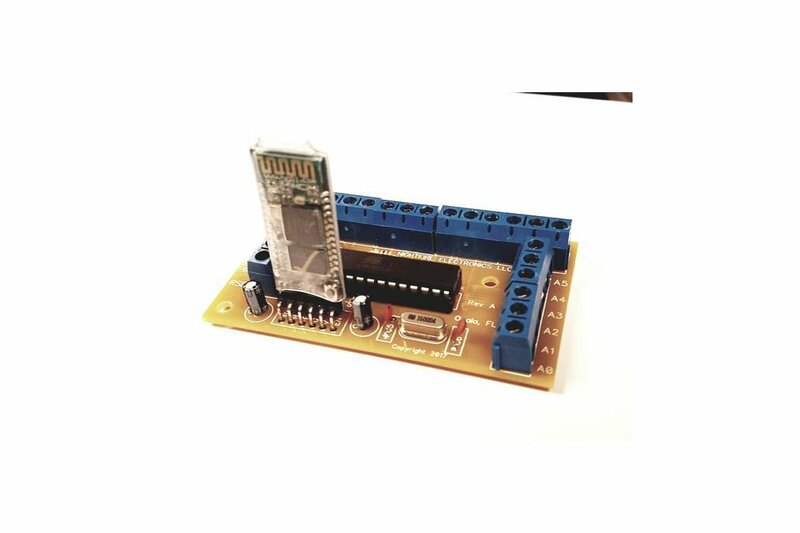 BLUETOOTH development board for the Arduino UNO. 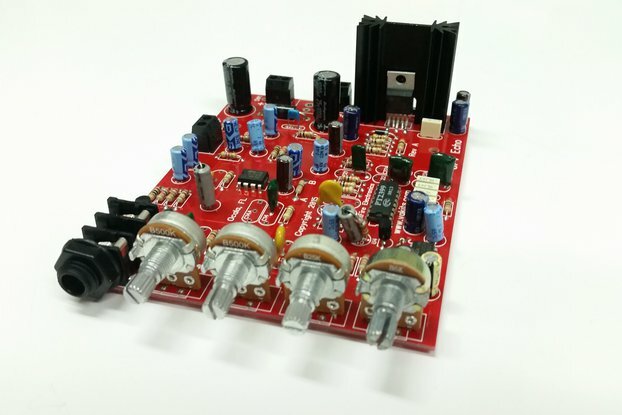 This is a PCB designed to be used as a finished product for your BLUETOOTH applications. 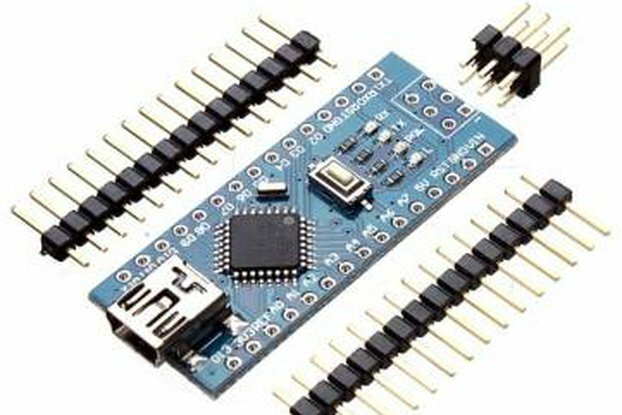 It can also be used as a BLUETOOTH development board for the Arduino UNO. 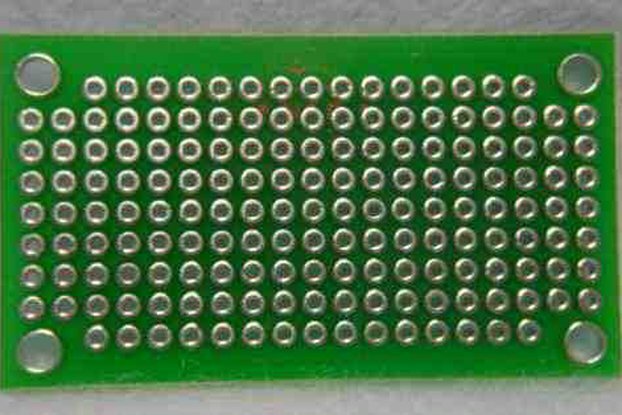 It contains an Atmega328p on a socket with all of the I/O pins available on screw pin terminals. 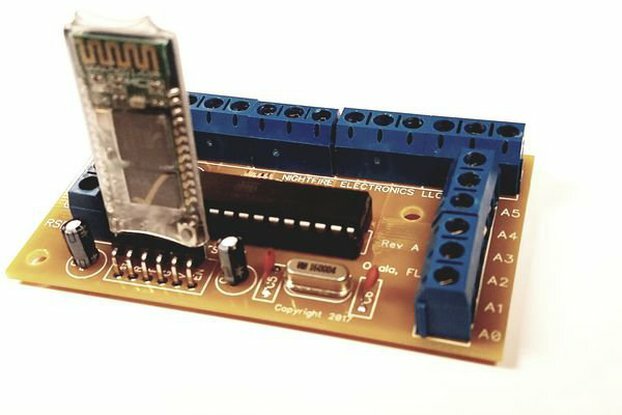 This includes the 14 Digital pins, D0 thru D13, the Analog input pins, A0 thru A5 and the Reset pin. It also has room for an HC05 Bluetooth module which is wired to D2 & D3 which frees up RX0 & TX0. 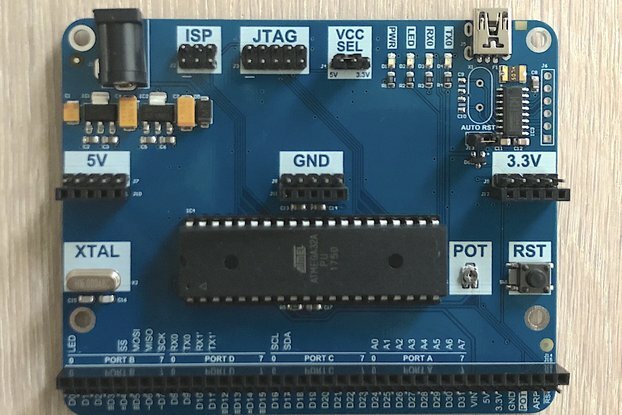 Use the Software.Serial library to control it. This frees up RX0 & TX0 so you can develop your program even better. 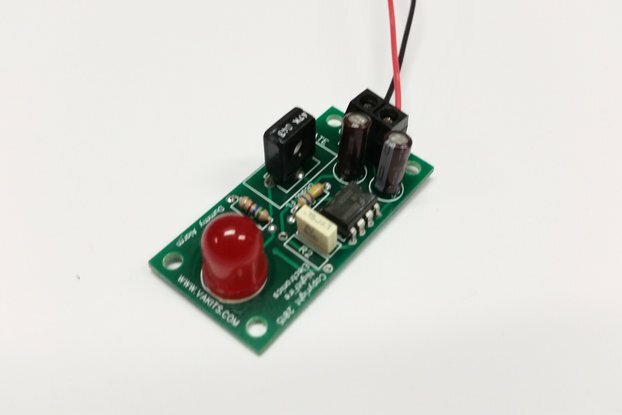 It has an on-board 5v Voltage Regulator. 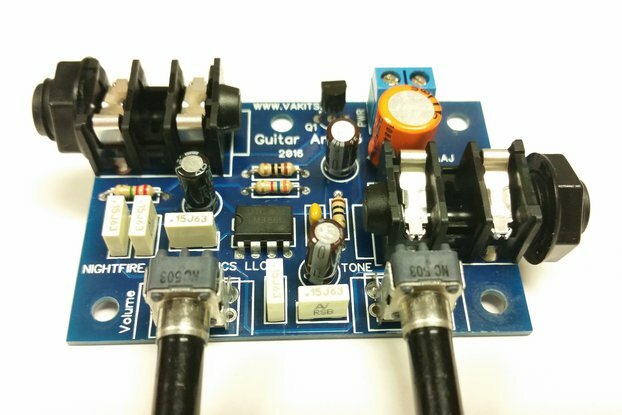 The input voltage can be anywhere from 7.5vdc to 15vdc. 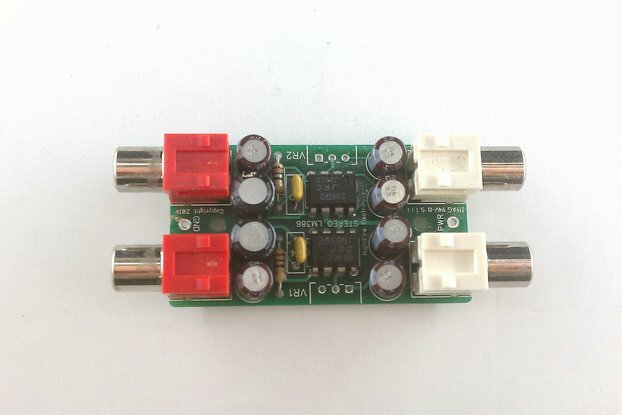 If you need a higher input voltage, change the three Aluminum Caps for a higher voltage rating. There are two mounting holes. The PCB is 3.10" x 1.75", FR-4 expoxy glass, 0.062" which is double-sided, Plated Thru-Holes. 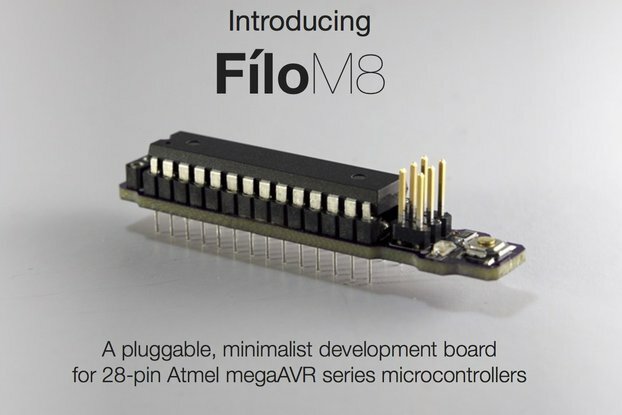 It was deigned to work with an Android App to control any of the Arduino I/O pins. 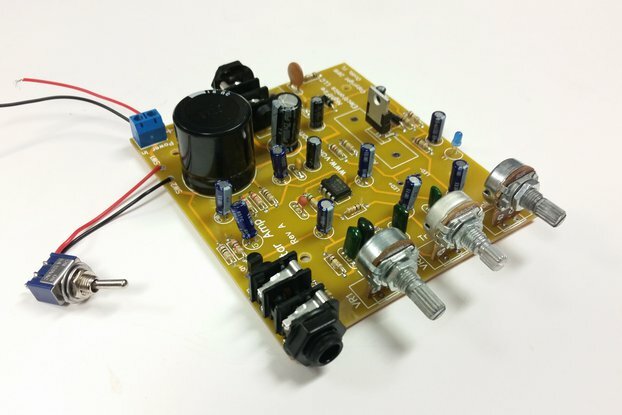 It is offered as a kit, or as a fully Built & Tested unit. Contact us for custom programs for this unit.